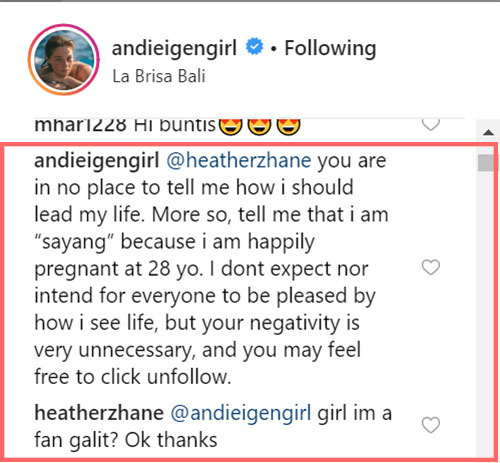 The single mom, who is three-and-a-half months pregnant with her second child, gives netizens a piece of her mind. 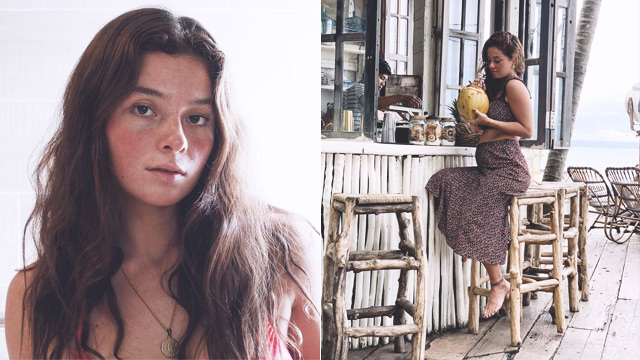 After she announced on February 1st that she is 14 weeks pregnant with her child with professional surfer Philmar Alipayo, actress Andi Eigenmann's friends and fans had mixed reactions about the news. 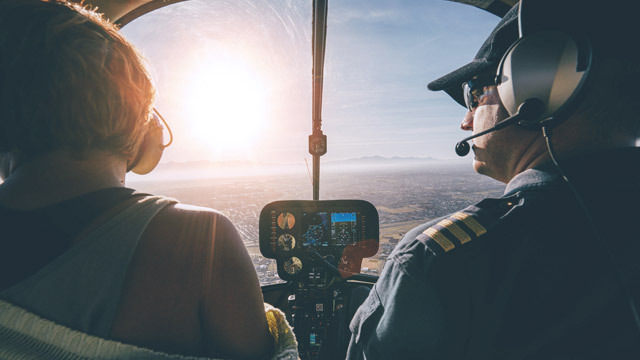 Most of them were positive and congratulatory, while a few voiced out their concern about the 28-year-old being pregnant out of wedlock for the second time. 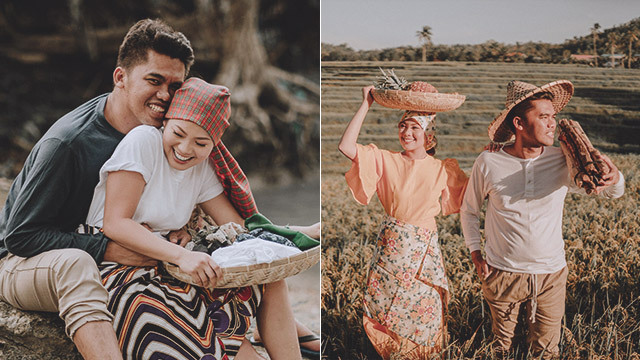 One user commented, "Sana Ands pakasal ka muna, sayang," to which the actress replied, "You are in no place to tell me how I should lead my life. More so, tell me that I am “sayang” because I am happily pregnant at 28 yo. I don't expect nor intend for everyone to be pleased by how I see life, but your negativity is very unnecessary, and you may feel free to click unfollow." The same Instagram user again replied, clarifying that she is a fan. "Girl I'm a fan, galit? Ok thanks." 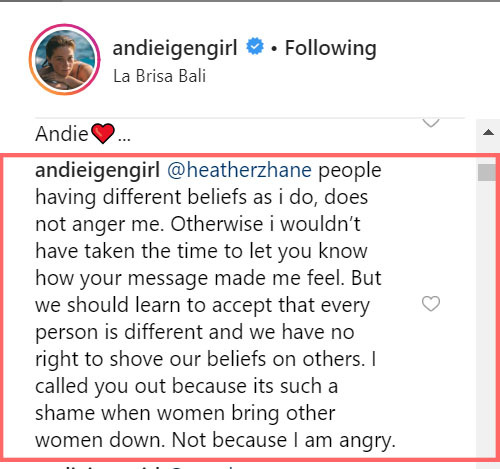 Andi then said, "people having different beliefs as I do, does not anger me. Otherwise I wouldn’t have taken the time to let you know how your message made me feel. But we should learn to accept that every person is different and we have no right to shove our beliefs on others. I called you out because it's such a shame when women bring other women down. Not because I am angry." 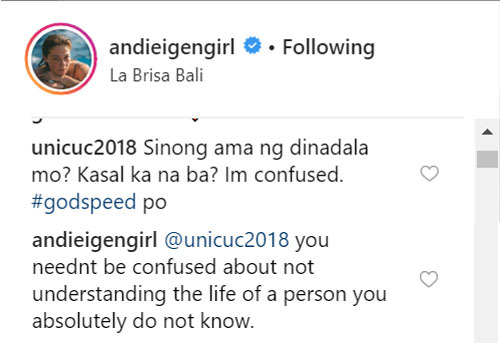 Andi also replied to another follower who was curious about her status and the identity of the baby's father with "You needn't be confused about not understanding the life of a person you absolutely do not know." 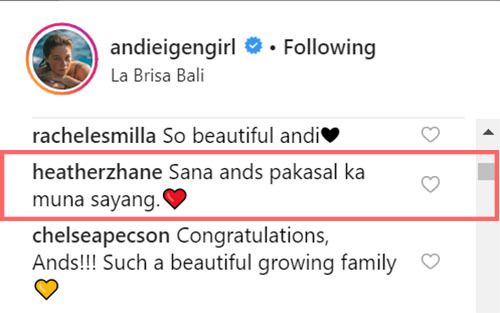 Yet another follower asked Andi how her mom received the baby news, to which Andi replied, "Of course. I'm already 28. She is very excited!" In June 2011, it was Andi's mom, veteran actress Jaclyn Jose, who broke the news about her daughter's pregnancy. 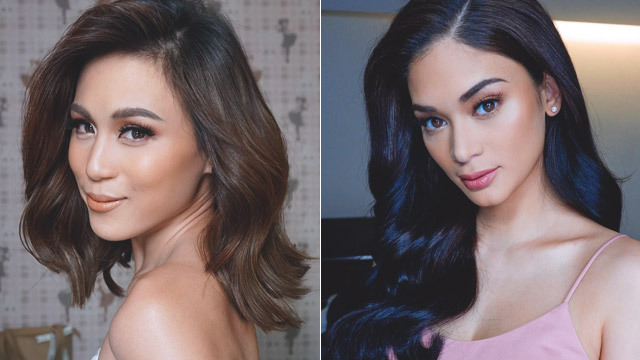 “I just want to tell everyone that, yes, it's true, my daughter is pregnant,” she told ABS-CBN News in an emotional interview. 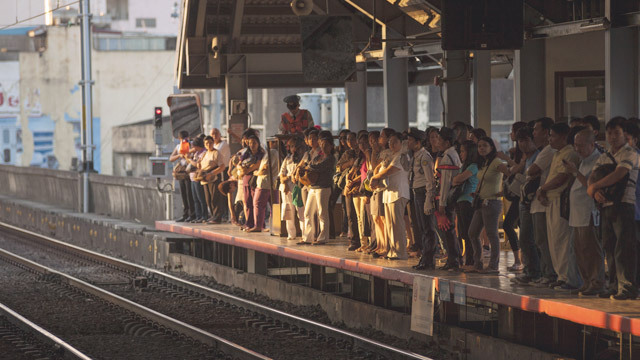 “Hindi madali pero kailangan kong tanggapin kasi anak ko siya at mahal ko siya. Wala namang ibang tutulong sa kanya kundi ako at ang kanyang pamilya,” she added, without naming the baby's father. Andi, who had just concluded her first starring role on TV, was 18 weeks pregnant at the time. 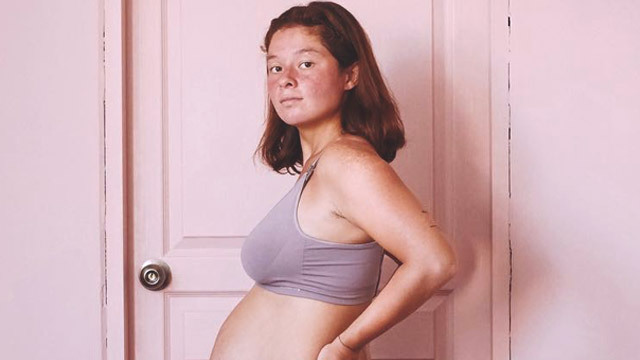 She gave birth on November 23 that year to a 7.8-pound baby girl she named Adrianna Gabrielle, nicknamed Ellie. 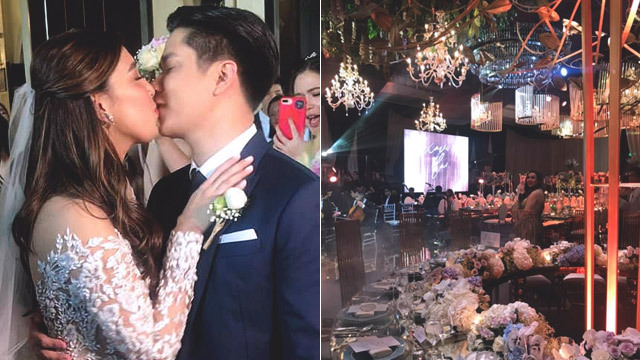 It was to be learned years later that Ellie's father is Andi's ex-boyfriend, Jake Ejercito. 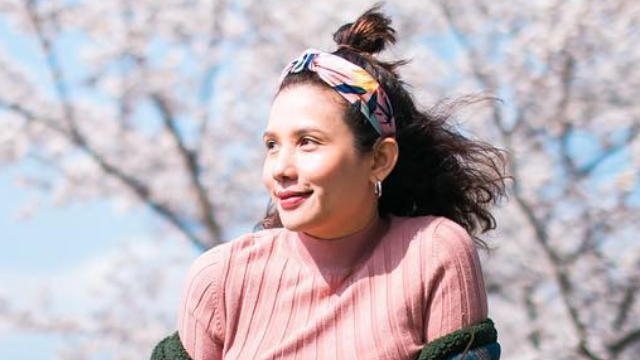 Now living on her own by the beach, where she decided to live the ordinary life away from show business, Andi seems more at peace with her life decisions. "This time around, I am fully cherishing every moment of my pregnancy. 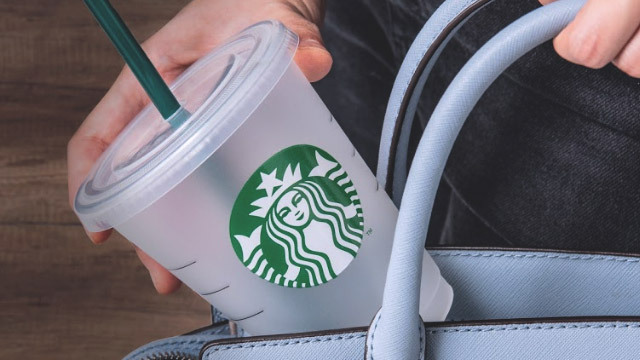 Embracing it as a time of transition and growth as my soul and spirit stretch, along with my body," she captioned a new photo of herself enjoying fresh buco juice while vacationing in Bali, Indonesia with friends. "Having raised a beautiful girl has given me courage to be proud of every bit of evidence in my body that shows that I am a mother. 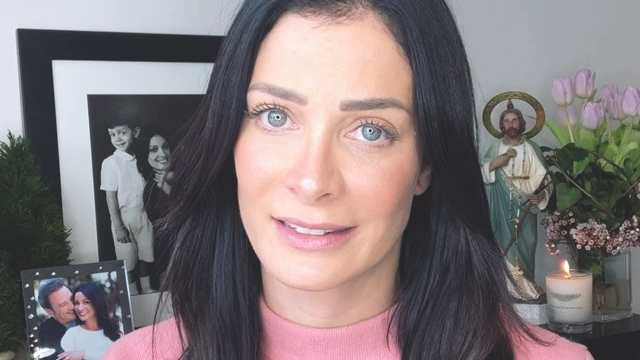 It will not be about hiding the bump, and bouncing back as soon as possible so that nobody notices that I actually gave birth. 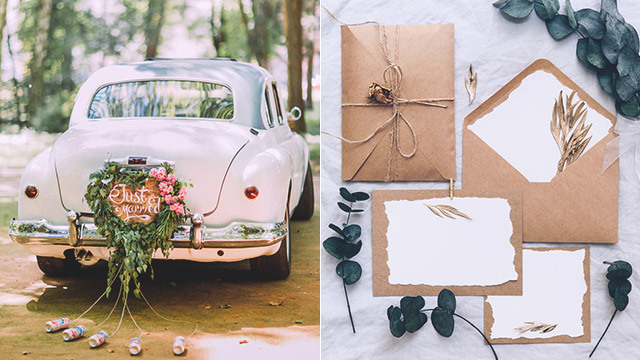 This time, it will be about celebrating the blessing of having another chance to raise another flower child. "Shout out to Ellie for teaching me everything I know. To our little (emoji), we’re so blessed to have papa @chepoxz and ate Ellie as our support system."